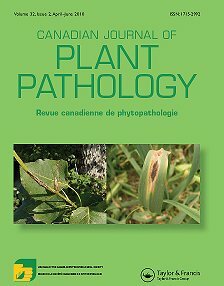 The Canadian Journal of Plant Pathology is published quarterly by the Canadian Phytopathological Society. Membership in the Canadian Phytopathological Society provides a printed copy of the journal, on-line access or both. Revue trimestrielle publiée par La Société canadienne de phytopathologie.